Landscape lighting is one of the best subtle ways you can drastically improve your yard. 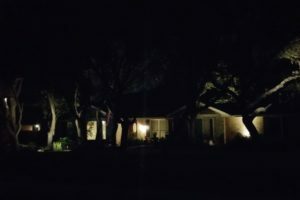 Using a low voltage lighting system makes it affordable and only consumes about 1/3 the electricity of high voltage systems use. It increases the usability of your yard by allowing you to enjoy your deck, patio, seating areas throughout evening hours. 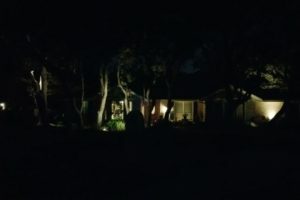 Landscape lighting creates a relaxing ambiance that is great for recovering from stressful days. 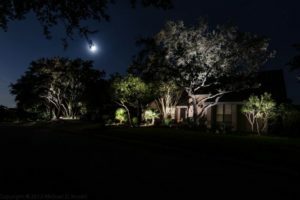 With the lighting you can accent certain trees or lawn ornaments to enhance the overall beauty of your yard and house. 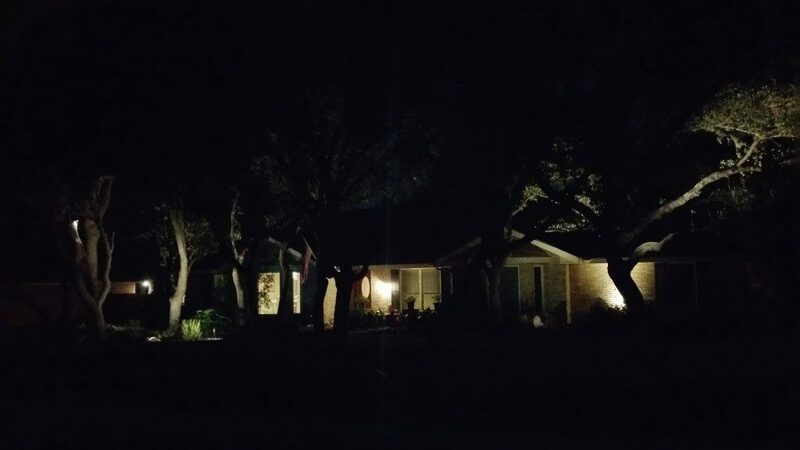 Landscape lighting also increases the security of your house. 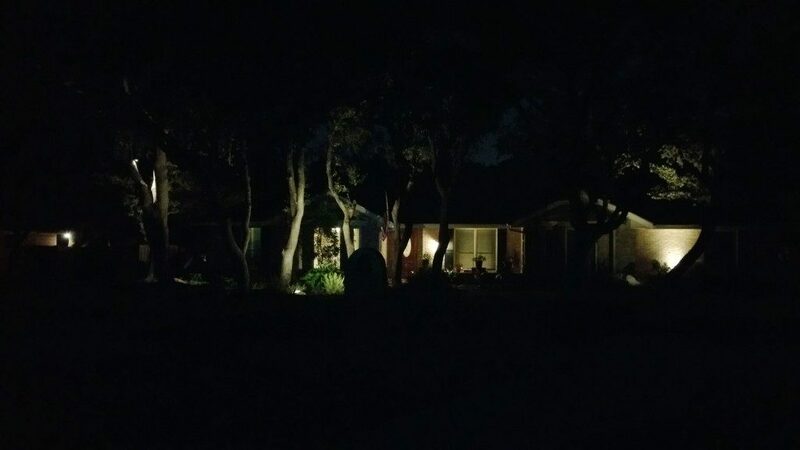 By adding light to the darkest corners of your yard you can eliminate hiding places for burglars. It also increases the safety in your back yard. You will be able to see exactly where your pathway is to not worry about tripping or be able to outline where your pool is. 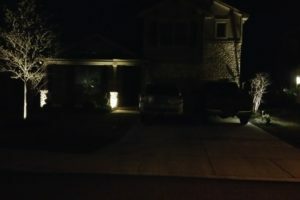 Once decided to add landscape lighting, you need to figure out what kind of bulbs to put in: LED or Halogen. Halogen bulbs uses 90% of the energy they consume to convert into radiant heat while LED only uses 5%. 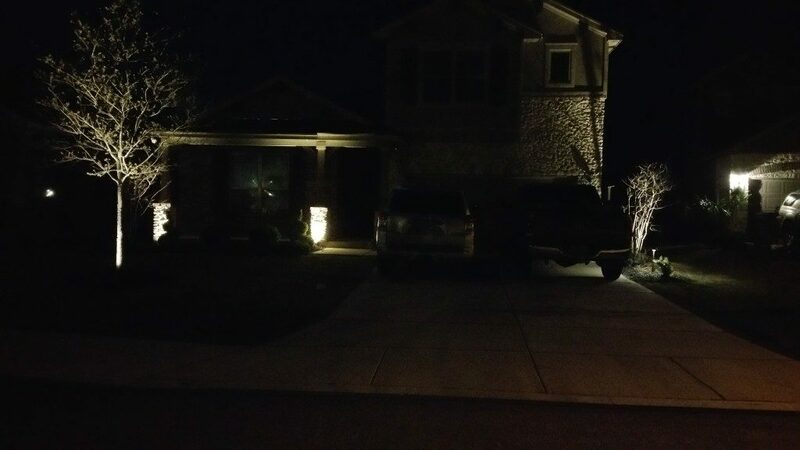 LED lights have longer life and lower power consumption. They also provide more visibility with their greater ground definition with less eye fatigue.